Say it ain’t so! Beloved local creemee evicted — our editorial has details. Regenerative farming comes to Wendell. Leverett’s budget situation brightens a bit. Loud music downtown prompts Montague to revisit its noise bylaw. 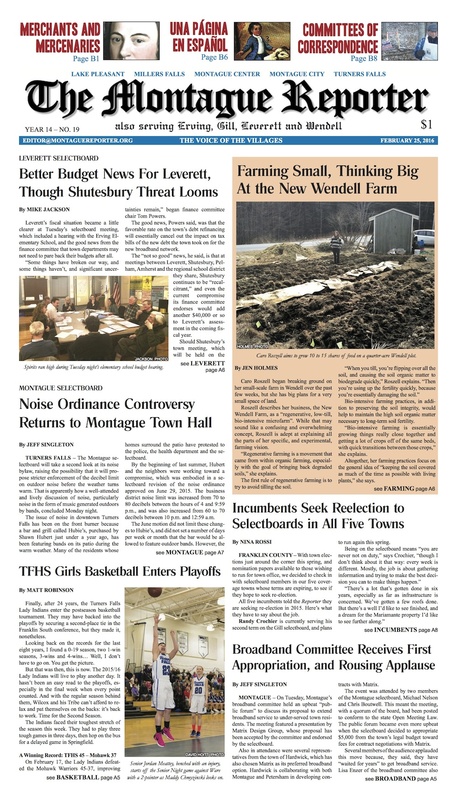 Gill passes five articles at a special town meeting. Erving considers the future of the International Paper Mill complex. Selectboard incumbents in all five towns will seek reelection. Montague’s broadband committee receives its first appropriation. And, after 24 years, TFHS girls basketball enters the postseason tournament. MoRe: Brattleboro-based In-Sight Photography places teens behind the lens. Part 2 of our look back at Shay’s Rebellion, and Part 1 of West Along the River’s new series, The Indian Narratives. A local writer shares his notes from a 1968 interview with Eldridge Cleaver. The Healthy Geezer’s readers continue to ask the darndest things — this week, why do old men have big ears? Could the Pet of the Week Blossom in your home? 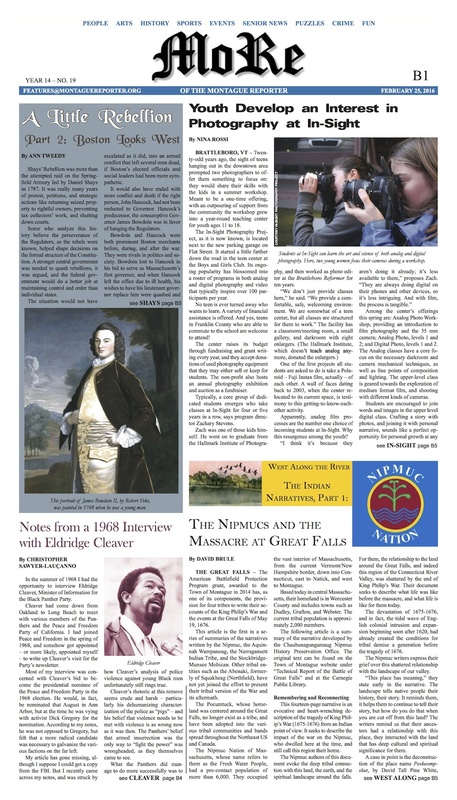 Plus, una página en español; eagle watch in Turners; the GFMS Second Quarter Honor Roll; Weird Healing; the Montague Police Log; another dispatch from gas country; and listings for MCTV, Montague Senior Center, and local arts and events.